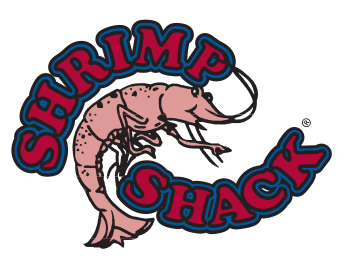 Shrimp shack is not a fancy restaurant with luxurious interior or entrée plates with all the garnishes & sauces. Shrimp Shack is a casual no frill hometown restaurant that SIMPLY serves the regular folks. Simple starts with using the freshest quality real products. We do not use anything pre-cooked or processed. Every morning, every day we start early preparing our fare for the day. We are not a chain restaurant. 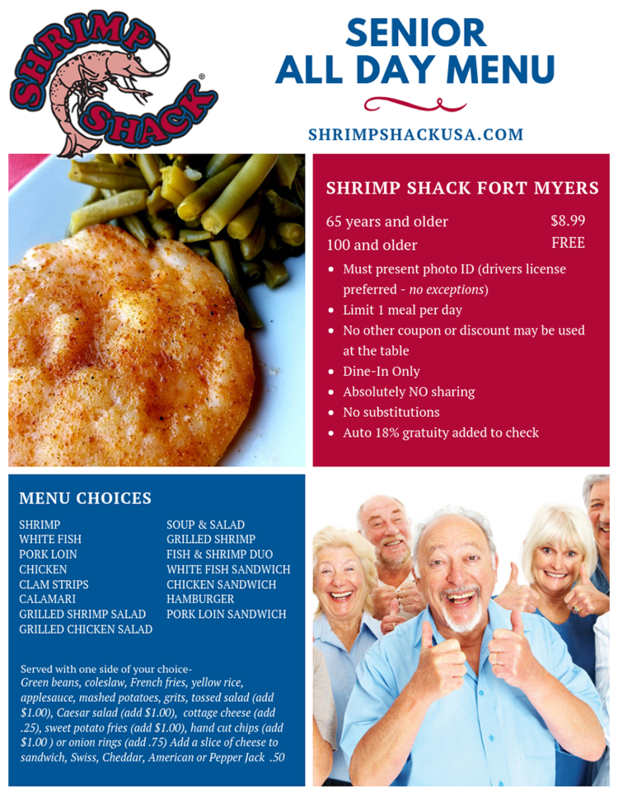 Shrimp Shack is a Lee County Florida original, started in 1998 by Lee county local woman. Our passion is simply in offering great food and excellent service in a casual and friendly local restaurant. We are for the friends celebrating a birthday, ball game, dance recital, or just a fun gathering. We are for the local workers from lawn care, electrical, plumbing, bus drivers, office workers, & many other professional folks out there looking for a good, quick & affordable lunch. We are for the regulars that look for a friendly familiar face and place to call their kitchen. We are for You: that is if you are looking for great food and service in a casual friendly local restaurant. This was our first time here and we loved it. Our food was awesome and our waiter was the “best”. Lee said it was the “best” crab cake he has had since he has been in Florida. We will be returning. Fantastic, big portions, great service (Steve was great). The best place I’ve gone for seafood in the area yet. Everything prepared to order, even the sauces on the table. Shrimp out of this world. Try the crab dip with homemade chips!!! Place is clean to boot!!! This place is hands down the best for fried shrimp anywhere. I loved their shrimp and Manhattan clam chowder. It’s one of my favorite restaurants in all of Ft Myers. The staff are all very friendly. I love the Shrimp Shack. Extensive menu, quick service, and friendly servers. My favorite dishes are the shrimp coated in a spicy cajun cream sauce and the crab legs. Both are delicious and very filling. 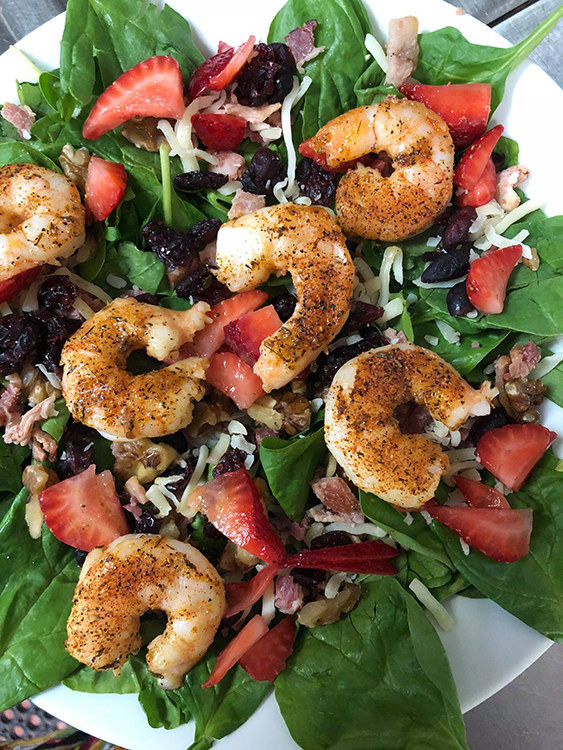 There’s something for everyone at the Shrimp Shack. As owners Kathy Harshman & Charlotte Fennell work side by side our employees. We take great pride in serving the best products with the best service in town. We as owners know we can’t do it alone, we need a superb staff who has the same values we do. We need a staff that love to work here & love our customers.